Colonel H. G. Shaw, along with his friend Camille Spooner, had a close encounter with unknown entities in 1896. Shaw was in charge of putting together an exhibition to be displayed at a Fair in Fresno. Shaw and friend were traveling by horse and carriage in route to Stockton, when their horse froze with fright. To the two men’s shock, they saw the cause of the horse’s actions; three tall alien looking beings with small delicate hands at the end of their spindly arms stood by the road. They had no hair on their heads, yet a soft, light fuzz over their bodies. Large eyes made their small mouths and ears appear even smaller. The two eyewitnesses would later tell authorities that the beings had a “strange” type of beauty to them. All of the beings carried with them a bag of some kind with a hose which they often stuck in their mouths, obviously to breath with. Although there was still some daytime left, the beings also carried with them egg-shaped lamps which glowed. This glow would later illuminate a waiting spaceship. 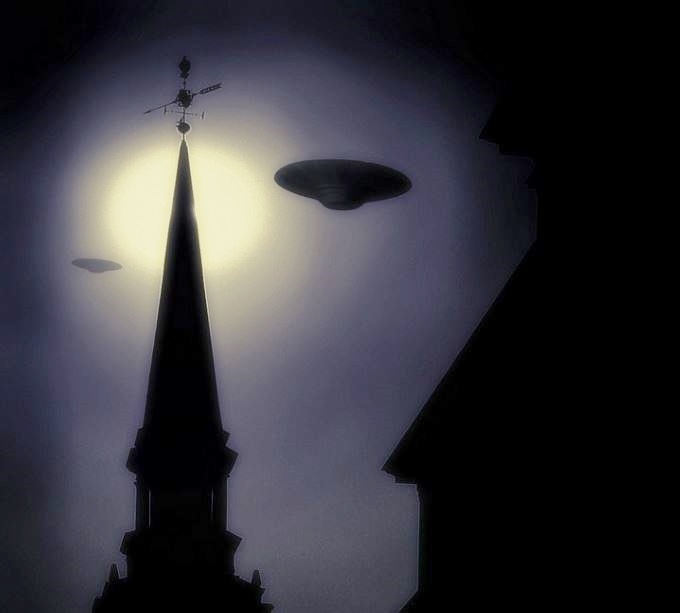 As the men watched the aliens, the beings were communicating with each other by a type of chant, as no English words were heard by Shaw and Spooner. The men would tell authorities that the aliens made an attempt to abduct them, but that the large difference in mass between the human and alien body thwarted the effort. Soon, the three alien beings made a move toward a nearby bridge. Using their other worldly lamps, the aliens lighted up the bridge, showing a nearby craft. The UFO was of a cigar shape, and it hovered quietly over the water. The beings seemed to be almost lighter than air as they moved toward their craft. It seemed that the aliens would almost leave the ground as they walked on the earth. The beings entered the hovering cigar UFO in a most unconventional way also. They sprung up from the ground and above their craft, and then floated down into the craft through an unseen entry. Soon, the object flew away. Shaw later told investigators that, in his opinion, the craft had come from Mars, a common theory for the time. This unusual case occurred on November 25, and was reported by Jenny Randles, in “Alien Contacts and Abductions.” NOTE: The above image is a rendering. I was working outside just after my lunch break. Out of the corner of my eye I noticed what looked to be a red-copper colored object in sky to my left. I stood up straight and really focused on the object. It appeared to have lights and a surface that reflected light off as metal does. It was also black at times as well. It appeared to hover for a while and very slowly travel on a path that changed slightly as it progressed through the sky. I have to stress one thing. The first time I noticed this thing, it was directly over the airport. My company is building condos and houses beside our cities airport and it is closed airspace. Nothing public or private can fly without authorization. Which leads to why I was curious as to what this slow moving completely silent object was. At first I thought it to be a hot air balloon but I asked myself, “why would it be and who allowed it to fly directly over the airport and the landing strips?” That would create a chance of an airplane crashing into it or the ground. It took about 3 hours to get almost right over my head. 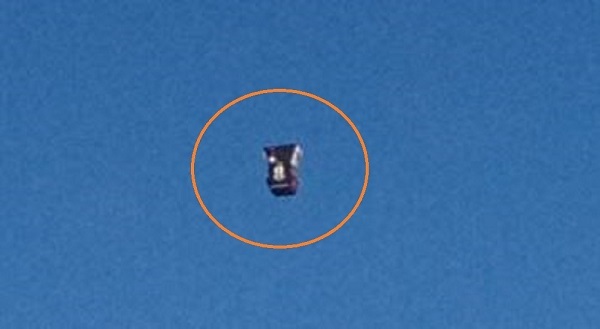 As it was moving around and stopping during these hours, I began to notice it looked more like a metal upside down bell rather than an air balloon made from fabric. I really don’t claim to know what it is because I have never seen anything like it before. There was what looked like a bright light on it as well. It never got any dimmer or changed color, but just stayed constant. It was completely silent as it traveled through the sky. I stopped randomly between working and tried the video recorder, but the object simply disappeared from sight. It would not show up on video. The object turned slightly as it moved but you guys tell me what this is. I couldn’t find any records of aerial pictures of city nor reports of anything happening at airport. When the object just simply disappeared and I could not see it anywhere in sky I thought this to be extremely weird. Seeing as it had taken so long to get to my location and I could see it anywhere in the horizon, it’s like it never happened really. After the object was gone, 2 army jets made multiple passes over the area. They returned then flew off again out of site only to return and do this again. I’m at a loss as to what I saw and am not discounting anything; as long as it’s realistic and logical. NOTE: The above image is a rendering. 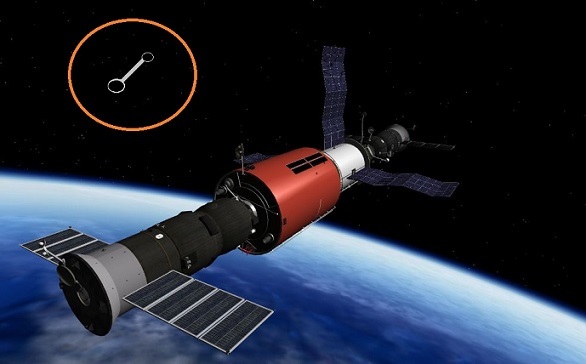 “On May 5, 1981, we were in orbit [in the Salyut-6 space station]. I saw an object that didn’t resemble any cosmic objects I’m familiar with. It was a round object which resembled a melon, round and a little bit elongated. In front of this object was something that resembled a gyrating depressed cone. I can draw it, it’s difficult to describe. The object resembles a barbell. I saw it becoming transparent and like with a ‘ body’ inside. At the other end I saw something like gas discharging, like a reactive object. Then something happened that is very difficult for me to describe from the point of view of physics. 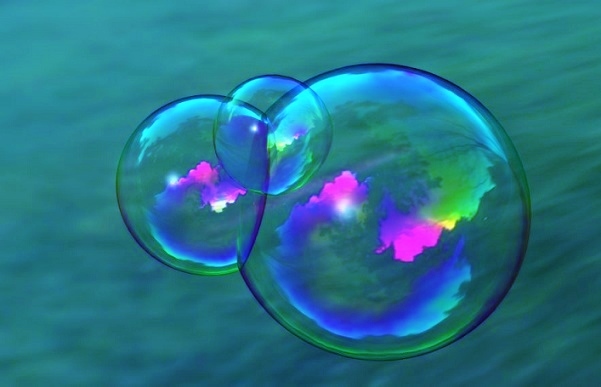 Last year in the magazine Nature I read about a physicist… we tried together to explain this phenomenon and we decided it was a ‘ plasmaform.’ I have to recognize that it did not have an artificial origin. It was not artificial because an artificial object couldn’t attain this form. I don’t know of anything that can make this movement… tightening, then expanding, pulsating. Then as I was observing, something happened, two explosions. One explosion, and then 0.5 seconds later, the second part exploded. I called my colleague Viktor [Savinykh], but he didn’t arrive in time to see anything. “What are the particulars? First conclusion: the object moved in a suborbital path, otherwise I wouldn’t have been able to see it. There were two clouds, like smoke, that formed a barbell. It came near me and I watched it. Then we entered in to the shade for two or three minutes after this happened. When we came out of the shade we didn’t see anything. But during a certain time, we and the craft were moving together.” (Videotaped interview with Giorgio Bongiovanni in the village of Kosnikov, near Moscow, 1993. NOTE: The above images are renderings. 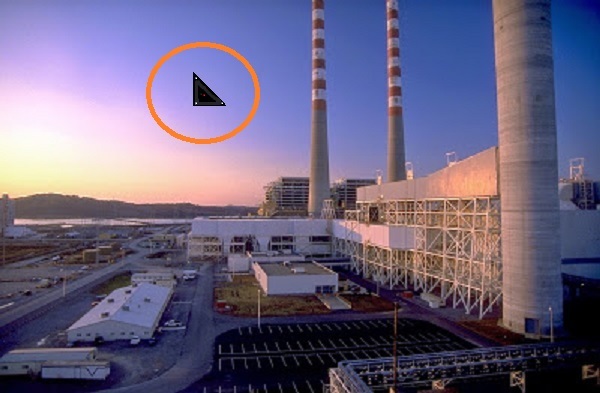 I had a sighting of a UFO while I was working at the TVA plant in Cumberland City, TN on Oct 19th (Wednesday), 1994 at 6:30 in the evening. Weather conditions were warm and the sky was clear. I was working for a construction company as a safety inspector during a boiler renovation at the facility. I was making my rounds thru the boiler when I walked out onto the 6th level catwalk and faced west to watch the setting sun as it went down behind a small hill (distance of which I would estimate to be a half a mile to a mile away) that ran along the western side of the property. As I was gazing in that direction, I noticed a dark object that appeared to be coming out of the sun and heading in my line of sight. 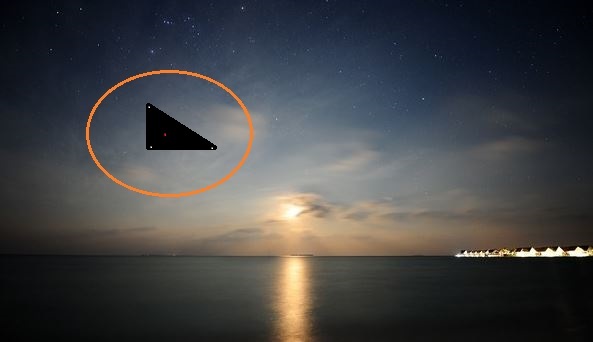 The object appeared as a black inverted triangle, 100 feet in length with the 2 opposite points on top and 1 point facing downward. The object was completely silent as it traveled parallel to the small hill. The hill itself is tree covered by pines and various other types of vegetation. As the object began to pass in front of my line of sight, the top of it began to “tilt” at an angle towards me and change shape. I observed a disk that was circular, except for a portion that looked like it had been “spooned” out, creating a crescent shape on the right side, possibly the front of the object. The object was huge. I would put its size as 300 ft in diameter. It had three circular rings. There was a smaller black circle in the center, a copper or burnt bronze colored ring surrounding it and a silver or metallic ring surrounding the outside. The copper and silver rings were rotating in opposite directions. The copper ring clockwise, the silver ring, counter clockwise. As it passed in front of me, it remained completely silent. The craft traveled the length of the hill until it came to an opening which was constructed for the purpose of positioning electrical towers that ran from TVA off into the northwest portion of the property. As the craft neared the towers, it “tilted” again to its original position, an appearance of a black inverted triangle. It then began to rise and traveled directly over the top of the towers and power lines and eventually disappeared off into the distance. Cumberland City isn’t far from Ft. Campbell, KY. I don’t know if what I saw was “military” in nature, but it appeared to be other-worldly. 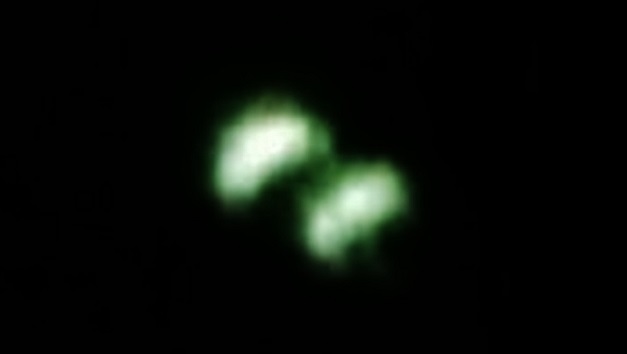 After my sighting, I inquired if anyone else had ever seen anything strange in the sky at the plant and to my surprise, there were 2 other individuals that said they had seen objects that they couldn’t identify while they had worked out there during various times at the plant. They hadn’t seen anything like I described and neither had a daylight sighting. To this day, I haven’t been able to find a sighting like the one I had, experienced by someone else in TN or anywhere else. It’s something that I’ll always remember as a unique experience. NOTE: The above image is a rendering. KENS NOTE: Fort Campbell is a United States Army installation located astride the Kentucky-Tennessee. Fort Campbell is home to the 101st Airborne Division and the 160th Special Operations Aviation Regiment. The fort is named in honor of Union Army Brigadier General William Bowen Campbell, the last WhigGovernor of Tennessee. I was station at Camp New Amsterdam in 1980 (9/2/1980) and was working ZULA alert for the Air Force and the ground mechanic on F-15 C, fighter jets. That night approximately 8:30 PM I believe, both of our jets scrambled for Rendlesham area, and flew over for about an hour and a half were killed their BINGO fuel, and had to RTB, return to base. 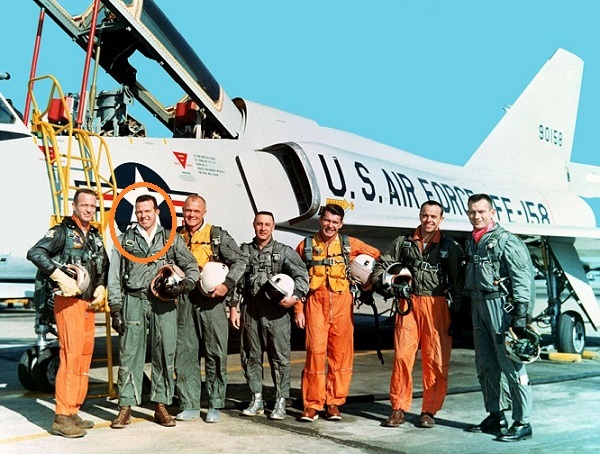 The pilots flying was [Name removed/cms/tg], and [Name removed/cms/tg]. We recover the aircraft, and as mechanic’s job is to download the video set a UHF cassette and put in a new one for the next flight. The pilots came back that night and instantly started talking about the scramble with us. Both them indicated they thought they were chasing them up unauthorized helicopter trying to find it on the radar, because of the low level and low-speed. However, they did mention that two objects left ground level and proceeded at 35,000 feet within seconds. They told us the actually told the tower, without somebody shot missiles up in the air they were tracking. However the objects stopped at 35,000 hovering briefly and then took off at 70,000 feet, or until the radar cannot track them anymore. The video(s) were downloaded by a crew chief friend of mine, on the recorder, which is standard protocol. I observed two objects that appeared to be black in color, it was difficult due to the quality of the video, and the speed the fighter jets were moving towards the objects approximately 650 kn, The video also records radar tracking, and the objects shows approximations according to all aircraft loaded in the memory system so the fire just can have a match or friend or foe, the computer designated no match for the items. There was also no MODE 4 or squawk, friend or foe that typical aircraft send out under FAA regulations of that time. The pilots reported the objects came back, approximately 35 miles down range, and simply could not catch up with them even though they were stopping for skipping moving from 45,000 feet to 2000 feet. The one pilot, the Capt., Was a Texan a good old boy, and he indicated that he was not a believer in UFOs he was that night. There was no man in black, however there was some closed door meetings days later, but they never asked the ground crew me us, about videos or the radar. 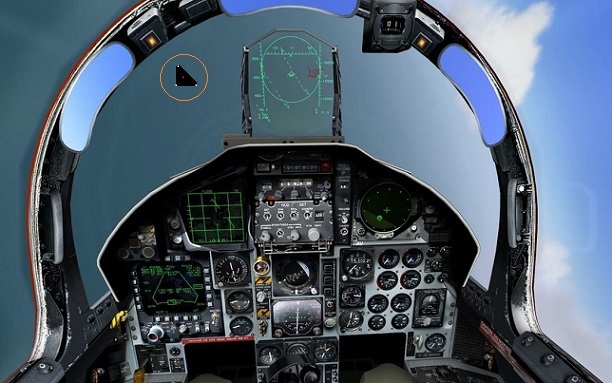 What I saw on the video recorded from the F-15 HUD, heads-up display by McDonnell Douglas, wasn’t night but did indicate an object with no wings, triangular shape, and no FAA regulation lighting but did have one maybe two lights, not sure where, the object was about 1 mile distance in front of the F-15. We did notice, when the pilot(s) returned they had indicated their radar when off-line briefly as well as their INS, for both aircraft this extremely improbable if not impossible. 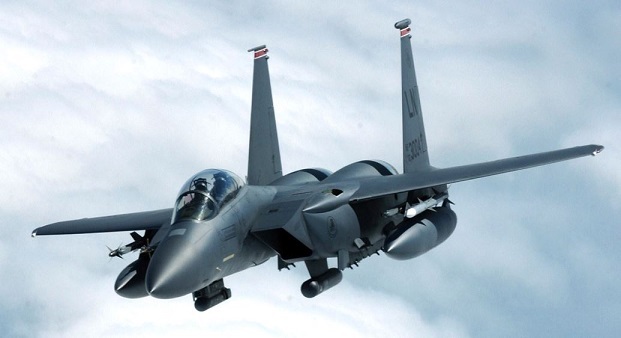 The F-15 aircraft were turned around and put back on 15 min. alert status. The next night I was not there but they did scramble again back to England. I notice none of the reports from this airbase indicated Col. Halt, that any aircraft jets were scrambled. And I’m indicating they were, because I was there. NOTE: The above image is a rendering. I was living in Jersey City at the time, and I was coming from my second job at a video store, riding my bike, since it was only five blocks away, and as I was one block from my house. I saw out of the corner of my eyes, what I thought was a meteor because it was coming straight down at lightning speed, so I looked up and it was like an orange fireball when it was coming down. When it got to, I would guess 200 feet from the ground, it stopped and that’s when I saw that it wasn’t a meteor. It was a flying disk and it looked like it was a meteor because it was coming down on its edge, but as it stopped it slowly began to turn right side up and that’s when I saw that it was dark grey on top. Then it slowly turned on it edge and I saw the bottom. It had 5 pentagon-shaped lights which covered the whole underside. They were emerald colored and they were arranged one in the middle and the rest around it. Then it just shot up at a high rate of speed after being just hovering. It just accelerated so fast that my eyes could not follow it and it did all this without a single bit of sound. That’s why I know this thing was not made here. All flying machines made by us make sound and none had the flying characteristics of this thing. I stood motionless as I saw it and my tears started to come out, I don’t know why, because I felt no fear at all, just an overwhelming feeling of disbelief, and then admiration. I remember I stood there for about half an hour after it left, just looking up, and my tears coming out. I went home and never talked about it until a few years later. I just know that people look at you like you were on drugs when you talk about these things, so I kept my mouth shut, especially from my dad. NOTE: The above image is a rendering. 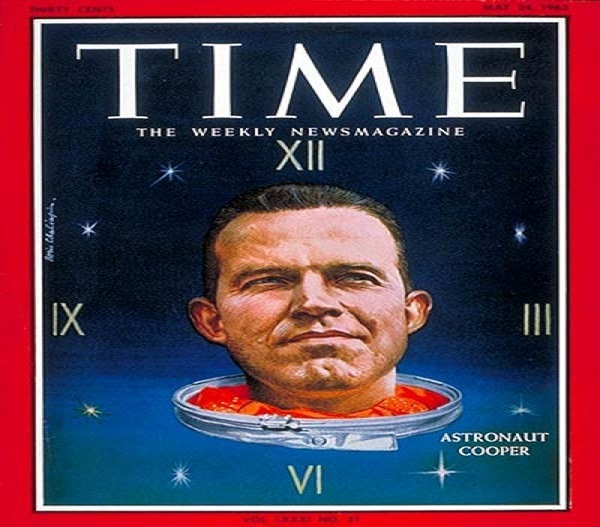 ASTRONAUT GORDON COOPER’S LETTER TO GRANADA’S AMBASSATOR TO THE UNITED NATIONS. “I wanted to convey to you my views on our extra-terrestrial visitors popularly referred to as ‘ UFOs,’ and suggest what might be done to properly deal with them. “I believe that these extra-terrestrial vehicles and their crews are visiting this planet from other planets, which obviously are a little more technically advanced than we are here on earth. I feel that we need to have a top level, coordinated program to scientifically collect and analyze data from all over the earth concerning any type of encounter, and to determine how best to interface with these visitors in a friendly fashion. We may first have to show them that we have learned to resolve our problems by peaceful means, rather than warfare, before we are accepted as fully qualified universal team members. This acceptance would have tremendous possibilities of advancing our world in all areas. Certainly then it would seem that the UN has a vested interest in handling this subject properly and expeditiously. “I should point out that I am not an experienced UFO professional researcher. 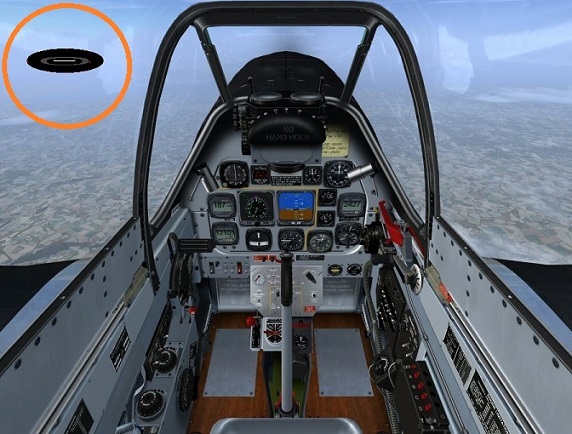 I have not yet had the privilege of flying a UFO, nor of meeting the crew of one. I do feel that I am somewhat qualified to discuss them since I have been into the fringes of the vast areas in which they travel. 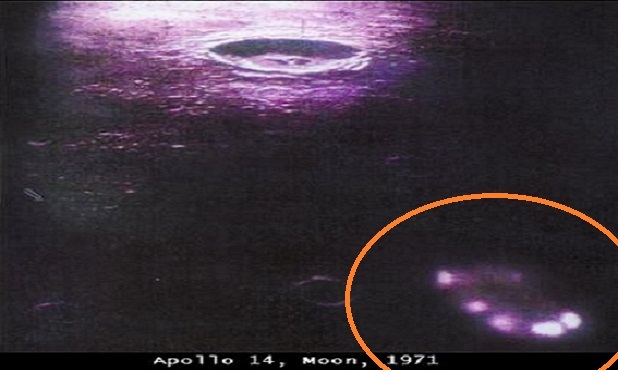 What was the UFO the Apollo 11 astronauts spotted en route to the moon? 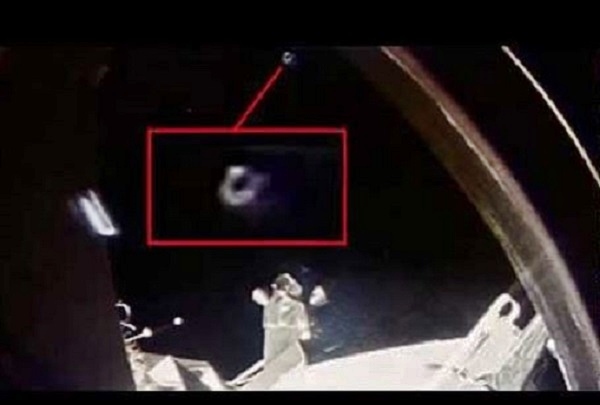 Something was there, floating in space outside the window of Apollo 11, “out there close enough to be observed,” as Col. Buzz Aldrin would say years later. The crew of Apollo 11, en route to the moon, encountered an unidentified flying object. That doesn’t necessarily mean it was little green men in a space ship from another planet or the USS Enterprise or Mork soaring in from Ork but something was there. 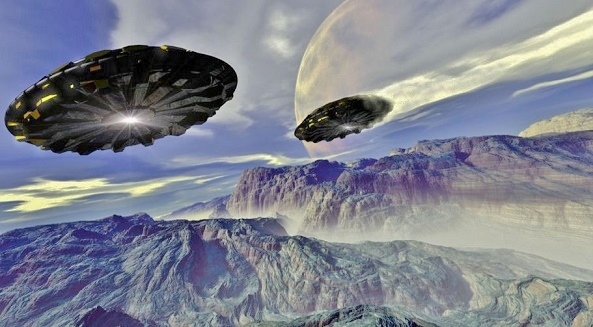 By the purest definition of the words “unidentified flying object,” it’s exactly what it was. Even now, it remains unidentified.With the 45th anniversary of the Apollo 11 mission upon us, Aldrin did recent online chat on Reddit’s AMA (Ask Me Anything). It was a characteristic move for Aldrin, who has always enjoyed the hoopla of public attention and appearances; “Buzz would go to the opening of an envelope,” a friend once said. “I observed a light out the window that appeared to be moving alongside us,” he said in the chat. “There were many explanations of what that could be, other than another spacecraft from another country or another world — it was either the rocket we had separated from, or the four panels that moved away when we extracted the lander from the rocket and we were nose to nose with the two spacecraft.” The lunar lander sat between third state of the booster rocket and the capsule in which the astronauts rode. The lander was encased by the four panels, which peeled away as the capsule separated and manuvered for docking with the lander. “So in the close vicinity, moving away, were four panels,” Aldrin continued. And I feel absolutely convinced that we were looking at the sun reflected off of one of these panels. Which one? I don’t know. So technically, the definition could be ‘unidentified. '” Aldrin said that “we well understood what it was.” Imagine the reaction if planet Earth, still a relative newbie when it came to space travel, weaned on sci-fi and still aching with Cold War paranoia, had heard, “Neil, what the hell is that out the window? Is that a flying saucer?” The astronauts’ debriefing upon return included discussion about the UFO and NASA was either satisfied with the determination it was the panels floating away or it wanted to keep things under wraps. Either way, it wasn’t widespread public knowledge until Aldrin casually mentioned it during a TV interview years later. 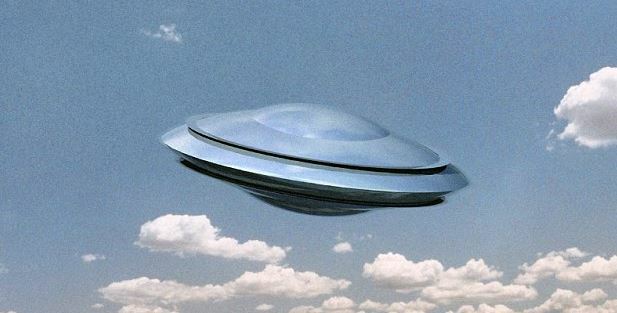 NOTE: The above image is real and only one of many alien craft associated with the astronauts . THANKS TO WWW.UFOCASEBOOK.COM AND Bob Gathany. My husband and I were in the backyard beside our firepit relaxing. I noticed bright red lights moving in the sky first, watched them move right to left about a mile away above the trees, mostly red with a yellow blinking – irregular beat. It then moved closer and I realized I was seeing something weird. I told my husband to turn around because I was looking at something very odd. It was hovering at that point, then moved towards us, closest it got to us – maybe 0.25 miles away. We watched for half a min before we agreed this was very weird. He got out his phone and started filming. Unfortunately the night-time contrast on phone filming stinks so there is no differentiation of treeline and sky, and lights are blurred together. At this time I could make out the object pretty well: cylinder shaped with a triangle top, lights were now separated into four horizontal and parallel rows of bright dots/bulbs. All were a bright red, with the bottom two rows adding green and yellow irregularly. We were very quiet and I swore I could hear it. It sounded like a quiet wind machine, maybe a slight buzzing. Not as loud as a helicopter. This lasted approx. 10-15 sec. Then it moved back so quickly, but smoothly, approx. 1 mile back, began hovering again and the lighting changed to a red X with a greenish irregular blinking light in the middle. Occasionally more red lights in a thin line lit up on the right side of the X. I could not hear it anymore. This lasted approx. 10 sec. Then it moved further away and we were now only able to make out that it was a red light with a greenish light irregularly blinking. It moved right to left twice (maybe 5+ miles), up and down once, hovering short times in-between all quickly, but so smooth. It was clear it was much further away at this point and as it was still moving right and down it went behind the tree-line. We both could not believe what we just saw. We started talking and thinking about what it legitimately could have been… possibly the military base 30 miles away testing new aircraft, patrol over the highway nearby, the County Fair 10 miles away providing interesting entertainment, or someone playing with a homemade drone to create hoaxes. Then about five minutes after the first sighting it came back. It was further away, so we could not define shape and lighting lines, only color and movement. It flew in a similar way as before, right to left then up and down… quickly and smoothly. Then it was gone behind the trees less than a minute later. All we could say at this point was “that was crazy” and just kept staring at the sky waiting for it to reappear. We went inside after waiting about an hour for a re-sighting. It just didn’t feel real, but we both confirmed exactly the same thing. I have really good eyes and my husband just got new glasses pretty much perfecting his vision. Just crazy. Please debunk this sighting for me. Tell me there is another reason for this unidentified flying object in the sky. We know what planes and helicopters look and sound like. There were plenty of them in the sky that night, but this was definitely not one of them (the lights were too bright, the shape was different, the movement was different… it was nothing we had ever seen before). Was there anyone else in our area that claimed a similar sighting last night? NOTE: The above image is real and from 9-24-07 Alloway Township New Jersey. We were at work on 6th floor of outside pool deck checking pool operation at 9:30pm. We noticed a large light about 1-2 miles out at sea not moving and looking down at the water. Light was stationary and not moving. Light started to move towards us cause we could tell the light was getting bigger. The object started to turn right cause the light started to turn right. At first we thought it was a coast guard helicopter because the station is at the Brigatine inlet where we work at the Revel casino. The coast guard are always do minuvers and rescue training. We still did not hear any noise at all. As the object approached the large light went out about 1/4 mile from us. The object passes over head and was like a wedge shape, almost triangle but not. There was a small blue light at each tip on the under side but nothing up front. The object passed over and as it passed buy we heard a slight noise like someone putting their finger to their mouth and telling you to ssshhhhhhh. The width of the object was about the same size as a commercial plane. If the object kept its same course as it flew over it was headed right towards the atlantic city airport and the air force nafac air base where the F-16 fighter jets are that patrol the east coast. We lost sight of the object because the casino tower where the rooms are blocked our view. We ran over to the side of the building but were still obstructed by the tower. From the first sighting of the light out in the ocean we were very curious because it made no noise and the light on the front of it lit up the ocean like when the moon first rises above the water. After seeing the object we just kept commenting to each other how cool it was and wished we could have seen it again and closer. NOTE: The above image is a rendering. On July 2, 2014, at approximately 1300 hours, I was on-duty in Vancouver, Washington. The weather was warm, with excellent visibility, and a partly cloudy sky. I was in my vehicle, facing east. My window was rolled down, providing me with an unobstructed view of the southern and eastern sky. I noticed movement in the sky, approximately forty-five degrees above the horizon, to the southeast. I observed a metallic disc, silver-in-color and circular in shape, moving rapidly across the sky from the south to the northeast. This movement was from my right to my left. The object was shiny and glinted in the sun as it moved. It appeared to be several thousand feet in elevation, and from my perspective, appeared to be the size of a dime held at arm’s-length. I heard no sound at all from the object, and there was no contrail. Further, it looked uniformly metallic and circular, with no visible wings, tail, windows, lights, landing gear, or other components of conventional airframes, both rotor and fixed-wing. It also did not look similar to any Unmanned Aerial Vehicles I have observed. I observed the object travel up and to my left, which was north/northeast. I saw it increase in elevation rapidly in a straight line, and it appeared to be travelling faster than any conventional aircraft. After approximately five seconds, I observed the leading edge of the object shimmer and disappear. I observed this continue, as an image of the surrounding blue sky enveloped the object, moving in a vertical line across the surface to the rear edge, until the object blended in with the sky behind it. As this change occurred, I observed a slight blurriness in the changed areas, inconsistent with the sky behind it. This distortion was similar to looking at an object immersed in water. However, once the entire object had changed, this effect stopped and I immediately lost sight of the object. The time from complete visibility to disappearance was approximately two to three seconds. At the time of disappearance, the surrounding sky was blue and cloudless. I continued looking but was unable to find the object. Approximately thirty seconds later, I observed a jet fighter aircraft flying rapidly along the same course the disc had taken. I recognized this aircraft, based on prior experience, to be an F-15. I was only able to observe the bottom of the aircraft, and no insignia were visible, but it looked identical to the F-15 fighters based at the Portland Air National Guard base. I observed the F-15 follow the same flight path, moving from my right to upper left. It continued, flying beyond where I had last seen the object, but in the same direction and elevation. From my perspective, the F-15 was the approximate size of a quarter held at arms-length. Additionally, the F-15 was extremely loud while passing over, whereas the disc was silent. I observed the F-15 continue to the northeast, out of my line of sight. Note: We have requested aviation radar data to look into this incident. Updates will be posted. James Clarkson from MUFON Washington is investigating this case. KEN’S NOTE: The above image is a rendering. 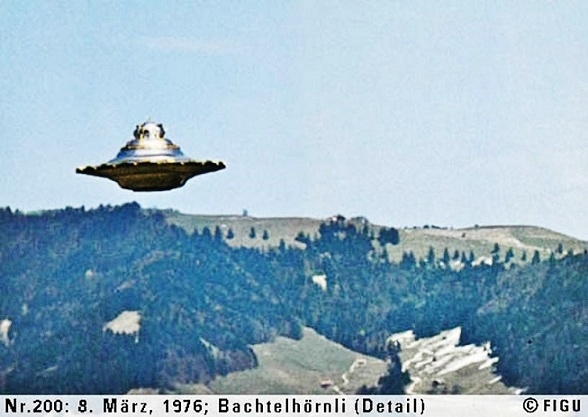 In 1980, Billy Meier, the Swiss UFO contactee, took 63, clear 35mm film photographs and a five-minute video of an object dubbed the Wedding Cake UFO, or WCUFO. Skeptics immediately pounced on the photos claiming they showed a model made from a garbage can lid and Christmas tree ornaments. With MUFON, the international UFO investigating organization, lacking the technology to determine the authenticity of his UFO photos, and Meier himself not saying anything in his own defense, the matter was perceived as a hoax and became just another UFO “cold case.” Enter “CSI” Fast forward to today where – just like in an episode of CSI – independent researcher Prof. Rhal Zahi revives the Meier cold case by taking a took a close look at the “DNA” in the WCUFO photos using PhotoShop, professional 3-D computer modeling software and actual scale models. His 74-page report, including his reproducible protocols, conclusively authenticate the photos as large, unknown objects and rules out small models or special effects. Prof. Zahi then discovered never before seen details in a nighttime WCUFO photo that have been hidden in not so plain sight – for 34 years – revealing that the craft is hovering over a gravel road and that Meier somehow actually took the photo from… above the object. MUFON Takes Another Look. Armed with Prof. Zahi’s authentication of the WCUFO, Meier’s American representative, Michael Horn, contacted Jan Harzan, the Executive Director of MUFON, who has known about the Meier case for 25 years and struggled with it being simply “too good.” Harzen and Horn formed a precedent setting alliance and, for the first time in 34 years, MUFON opened the Meier case to its 3,000 members worldwide. Staggering Implications. According to Horn, “Prof. Zahi’s work vindicates Meier of charges that he hoaxed his evidence. 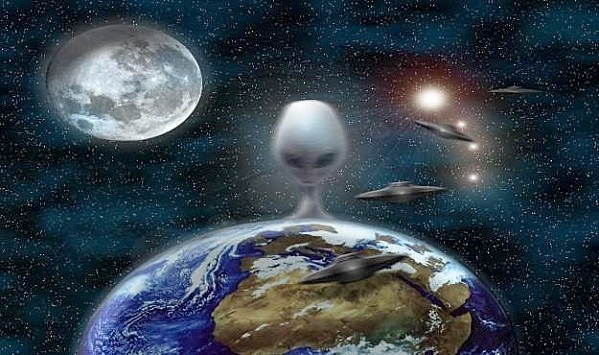 It also makes the SETI program unnecessary because it conclusively shows that the UFOs photographed and filmed by Billy Meier are extraterrestrial in origin. 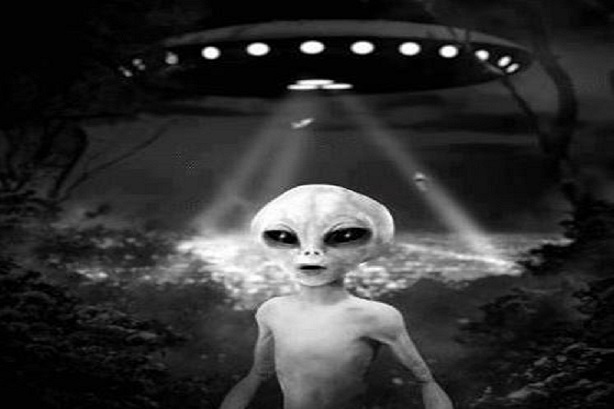 With Meier’s well-documented contacts with the Plejaren extraterrestrials still ongoing for over 72 years – and so rich in scientific information- the implications are truly staggering. “Now along with NASA aerospace engineers recognizing its significance, modern technology makes it easy enough for an eight year-old child with a computer to prove the most important discovery in all of science and human history for themselves. 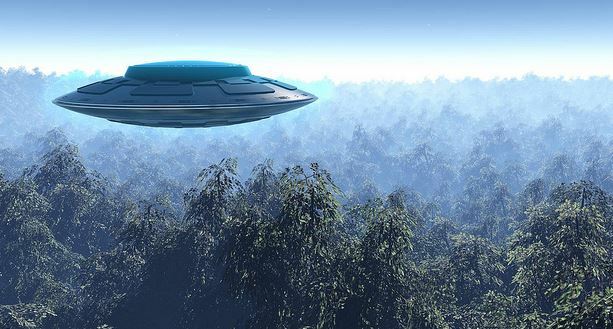 We are not alone, we’ve been contacted and now it’s up to us to see if we can actually recognize – and handle – the truth.” An update on the remarkable, historical developments in the Billy Meier case may be announced at the upcoming MUFON Symposium, July 17 – 20, in Pennsylvania. I was working outside just after my lunch break. Out of the corner of my eye I noticed what looked to be a red-copper colored object in sky to my left. I stood up straight and really focused on the object. It appeared to have lights and a surface that reflected light off as metal does. It was also black at times as well. It appeared to hover for a while and very slowly travel on a path that changed slightly as it progressed through the sky. I have to stress one thing. The first time I noticed this thing, it was directly over the airport. My company is building condos and houses beside our cities airport and it is closed airspace. Nothing public or private can fly without authorization. Which leads to why I was curious as to what this slow moving completely silent object was. At first I thought it to be a hot air balloon but I asked myself, “why would it be and who allowed it to fly directly over the airport and the landing strips?” That would create a chance of an airplane crashing into it or the ground. It took about 3 hours to get almost right over my head. As it was moving around and stopping during these hours, I began to notice it looked more like a metal upside down bell rather than an air balloon made from fabric. I really don’t claim to know what it is because I have never seen anything like it before. 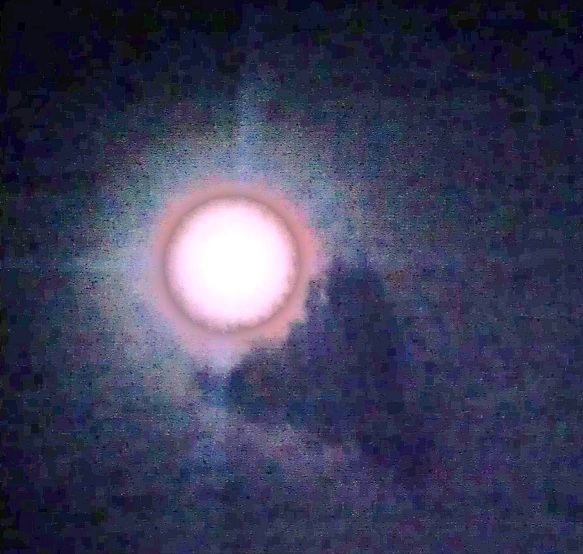 There was what looked like a bright light on it as well. It never got any dimmer or changed color, but just stayed constant. It was completely silent as it traveled through the sky. I stopped randomly between working and snapped a series of maybe 7 pictures. I tried the video recorder, but the object simply disappeared from sight. It would not show up on video, but clear as day in pictures. The object turned slightly as it moved so the pics show different details and angles. But you guys tell me what this is. I couldn’t find any records of aerial pictures of city nor reports of anything happening at airport. When the object just simply disappeared and I could not see it anywhere in sky I thought this to be extremely weird. Seeing as it had taken so long to get to my location and I could see it anywhere in the horizon, it’s like it never happened really. The only proof is the pictures. After the object was gone, 2 army jets made multiple passes over the area. They returned then flew off again out of site only to return and do this again. I’m at a loss as to what I saw and am not discounting anything; as long as it’s realistic and logical. I was at American Heart Association charity event on May 7, 2014; the event took place at citizens Bank Ballpark in Philadelphia. I was waiting my turn to hit baseballs and while talking to a security guard that I know I noticed he was looking at something over my shoulder and I turned to look at it also. I said to the guard: “It looks like a helicopter with someone hanging out of it.” No sooner had I said that and what I thought was a helicopter turned slightly and proceeded to change shape. The only way I can describe it is it looked like three bubble shapes and it stayed there for another second or two and then ascended into the overcast sky. I heard no noise and never saw the object again. The guard and I looked at each other with disbelief, and I asked him if he just saw what I saw and he told me exactly what I thought I had just seen. He had said whatever it was changed shape, so I knew I wasn’t crazy and hallucinating. We were the only two in the ballpark that had seen it from what I know. We spoke with a couple of ushers and other people that were around us and told them what we saw but they had not seen it. I thought I would report this to see if anyone else possibly could have seen it besides me and the security guard. My feelings after seeing it were I had just seen something amazing and I couldn’t tell you if it was man-made or not. After the object changed shape it simply and slowly rose up into the clouds and I never saw it again. NOTE: The above image is a rendering. My boss and friend, a very credible business man, called me tonight around 10pm. He had just left the shop and was leaving the industrial park approaching a red light when he notices what he said looked like a ball of fire. Before I continue with his description, I would first like to say that he is a very reserved, logical and practical man. He is very familiar with aircrafts and aviation through his hobbies. He has little to no time for interest in things outside of normal reality like this. And thus, when he called me, was hesitant to describe this until I think I broke the ice with the word “UFO” and then I heard that comfort in his voice as if it was assuring him I would not think him crazy for what he was about to tell me. So he’s approaching the red light when he notices this fireball in the sky. At first he thought it was a star by initial glance but immediately realized it was moving at an incredible rate when it then slowed down very quickly to a point of “almost” hovering (I believe he really wanted to say it stopped and hovered but wanted to hold some level of reservation even in his awe). This is when he noticed that it had what he called a “sparkler effect” almost as if the same look as sparklers you see people waving on the 4th of July and such, coming from what he assumed was the back end based on its direction. He had with him a good digital camera and snapped this photo. 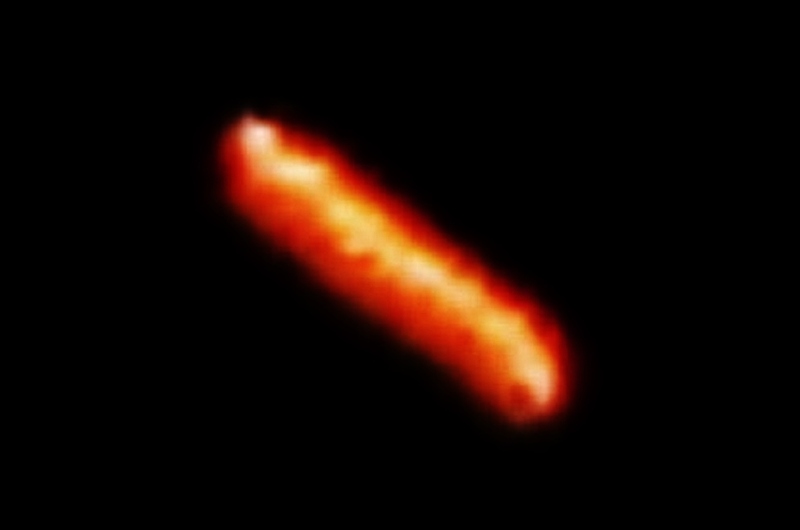 The bright light on the left is a street light – the small cigar shaped orange object in the center is the UFO. He says he pulled over and got the camera rather quickly, however, he is not very familiar with the hardware and originally intended on taking video footage, but in haste and fear of losing a shot entirely, took this photo as is without zooming or anything. So he pulled the car over and took this photo. He says he believes in the time that he grabbed the camera it began moving in a new direction again and thinks it looks cylindrical like that because it was in motion. Right after taking the photo, he looked down at the camera to make sure a picture had actually taken and when he looked back up a second later it was gone. He doesn’t know if it disappeared or flew away, but it happened so fast that that aspect alone amazed him as much as the sighting in the first place. Judging by the picture, its saturation level is very bizarre – and it almost looks more like an illuminated object with a hard surface of little reflectivity rather than a light object or a highly reflective surface. He described it as spherical and a light source like fire. Very odd in comparison to the photo. 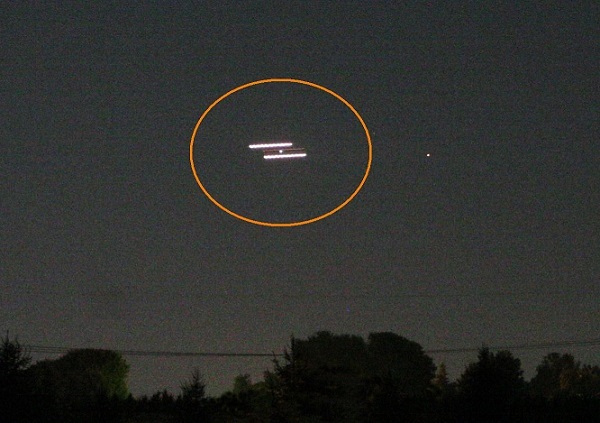 Could this be a morphing ufo? I would assume that the streaking of an object in motion would have a faded tail, but I can’t tell which direction it’s going or if it even is moving. It’s a perplexing photo to me really, and I’m sure it’s 100% legit. Just taking a photo and getting it to me in an email is the extent of his technological capabilities concerning tampering with a photo, not to mention his trustworthiness. Normally I’d say I have no fear or shame in attaching my name to this kind of stuff, but I don’t want my bosses reputation to be at any risk. If you have any questions send me an email and if there is a high interest I could see if he would be willing to share more under anonymity. The most interesting case of the sightings of an exotic UFO by four officials happened in 1986 on Fehmarn, Germanys third biggest island in the Baltic Sea which was a frontier island during that time when post-WW-2-Germany was still divided into West and East. About this event the BND-UFO-Files reveal the following: In the early morning of August 26, 1986, in the time between 03.00 and 03.30 am, three public officers of the Border Guard office at Puttgarden, who were serving the night-shift, out of their office’s window observed a flying object that travelled in slow speed towards the ferry-station at Puttgarden. At the same time this flying object was observed by a Puttgarden customs officer too, from the so-called “car-park” of the ferry-station which was positioned about 900ft away from the three border guards officers. After an extensive interview and questioning by the signer of the report, the following circumstances were confirmed: The unidentified flying object approached the ferry-station Puttgarden at the mentioned time in a comparative slow speed (in no way it was a conventional plane) coming from the West. 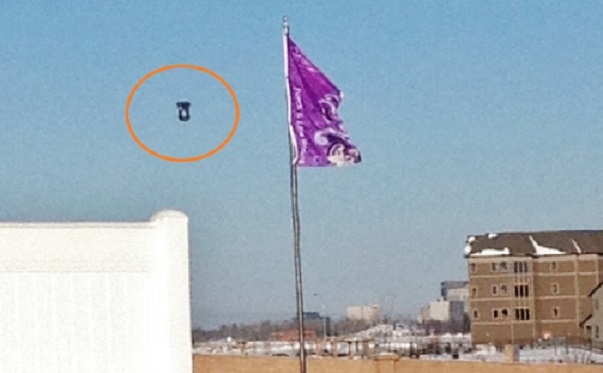 The object was flying at a height of about 150-180ft. As it arrived over the ferry-station Puttgarden, it again reduced its speed even more and came to a nearly complete halt just above the mole-enclosures. At this time of the observation, the border guard officers heard a sound that they described – in agreement with the customs officer – as a “comparative silently humming sound”, that could possibly be compared with the sound of that of a turbine. All officers were unable to give any description about size, shape and colour of the flying object. This was due top the following reasons: The night was pitch dark. The object emitted such a radial blinding illumination/light, that the above mentioned observations were impossible to make out. One officer even speculated that the this illumination could have been switched on with the intention to avoid an identification, as the used light was neither that of navigation lights nor flood lights, as no directed cones of light went downwards. After the nearly half of the object just in front of the ferry-station Puttgarden, the object continued its hovering flight in the same altitude eastwards passing above the Navy Coast station Marienleuchte on Fehmarn 1800ft away. Attempts of the signer to get more insights about the observations through other personnel and offices failed. Inquiries were made to the Navy-Coast-Guard stations Westermarkelsdorf, Marienleuchte and Stabernuk (all on Fehmarn island), as well as with the flying squadron of the Border Guard command ‘Coast’ (Helicopters), the operating surveillance of the ferry-station Puttgarden, with the German ferryboats ‘Deutschland’ and ‘Karl Carstens’ and the Danish Police at Rodby. NOTE: The above image is a rendering. It’s high season for sightings – Grace never expected to see a UFO, the size of an aircraft carrier. Grace was working at a TV commercial film shoot in upstate New York. The various crews had just wrapped the shooting for the day. In Grace’s van there were ten members of the crew; everyone was anxious to return to their hotel in Middletown, NY. While driving on NY State Route 12, most of the crew members on the left side of the van nearly in unison remarked, “What is that?” In the sky was a reddish-orange object and it continued to get closer and closer to their van. At first none of the folks could really make out what it was they were looking at. Graces says, “We all agreed it was not a plane or anything else we had ever seen.” The only thing everyone in the van certainly agreed on was that the object was getting bigger and bigger, and it was getting increasingly darker outside as the sun was setting. “Some of the folks in the van were on the verge of freaking out,” Grace explained. The road began to be curvy and led into a forested area where they lost sight of the object. As their van came around a small turn in the road, there was one of the other crew vans stopped. All of its crew members were out of their truck standing in the middle of the road looking up in a dazed manner. The driver of the van slammed on the brakes. After the vehicle, stopped the engine died, and everybody got out. “Above us was this unbelievably enormous ship, silent hovering just above the tree line,” Grace said with a tone of wonder in her voice. 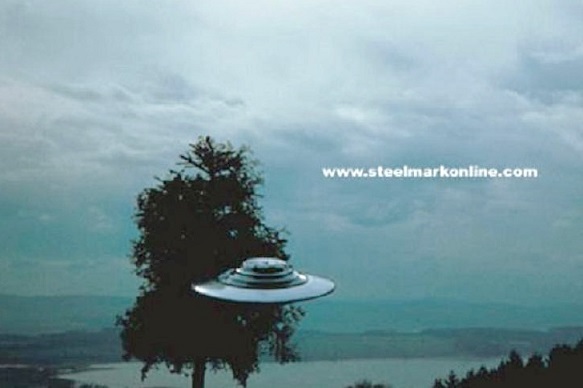 Grace clarified what it looked like very specifically, “it was a dark metal, and it was larger than an aircraft carrier, when we saw it at tree height. The circumference had baseball diamond shaped colored lights that changed color, but not in a pattern, they just changed colors, pink orange, blue, and yellow.” The group of film artists and technicians stood huddled together gazing up in awe for about 5 minutes. “…and then in a second, it pulled away, without a sound and it did so, incredibly fast.” Grace explained. After the craft disappeared, the van the other crew had been driving in started up. One of the crew electricians told us their truck had stopped when the craft had gotten close to the tree line. Later at the hotel the two van loads of crew shared their encounter story with the rest of the shoot team. “They just thought we were all nuts.” Grace moaned. Interestingly enough the local newspaper reported that a large crowd in the parking lot of the local supermarket had also seen the UFO. Grace says, “I still talk occasionally to a few of my fellow witnesses and we are still all freaked out, because it was so unmistakably huge, so close and so real.” After a moment to reflect, Grace remarked about the long term impact of that night 26 years ago. “… It has left a huge mark on my life, and on how I see our place in the universe. I think of it in a very good way. It really forces you into a bigger perspective! KENS NOTE: Apparently the TV film crews equipment was also not working. The vehicle they were driving in stopped working and came to a stop. This happens many times when there is a Close Encounter. NOTE: The above image is a rendering. Myself and my wife had decided to go and clean the fields for sweet potatoes and upon loading the car and heading back home, which was about a mile from home, right in the clear blue sky on the right appeared this huge craft in the sky. Dark brown in color with windows going all around it, there was one woman standing in front of one of the windows as it hovered about a good two hundred feet above the trees, as we were riding in our car. I asked my wife do you see that and she said yes. It was so huge and magnificent. I never seen anything on this planet like it before as it hovered over the trees not making a sound and no wind was stirring at all from this huge craft. The tops of the trees didn’t move at all, as I sped up to get a better view of the huge craft, I had some trees that blocked our view for maybe 5 seconds as we was clearing the trees with great anticipation to get a better view the huge craft had vanished without a trace. We are a christian family with strong christian values and when I tell my story of what we saw people really don’t believe but I know what I saw and my wife knows what she saw and she doesn’t like to talk about it and seems like she’s a little different since it happened but we know what we saw. I’ve been searching the web to try and see something that looks similar. I feel that more time had passed than what we could remember but I’m not sure. It didn’t dawn on me to look at my watch for the time we were so in awe, but at times. I feel more had taken place than what I can remember. After we had encountered it, I just remembered being tired and going to bed early that night. We told some family about it but not much was said or done since. In school I used to be a fairly good artist but now I just can’t seem to even draw what we saw on paper. NOTE: The above image is a rendering.